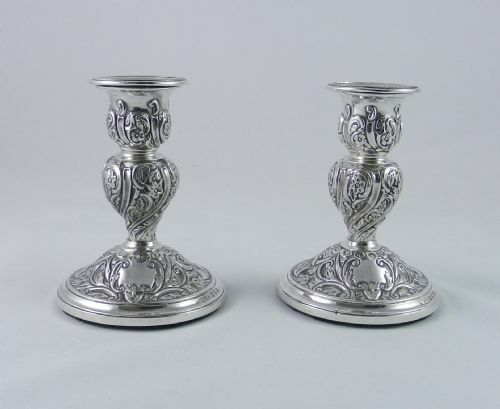 Antique "Russian Style" Silver Candlesticks. 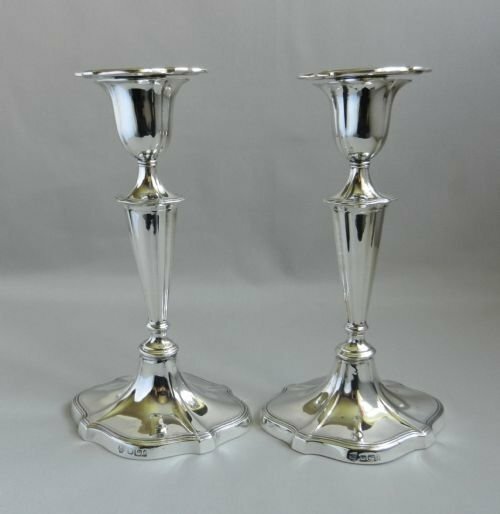 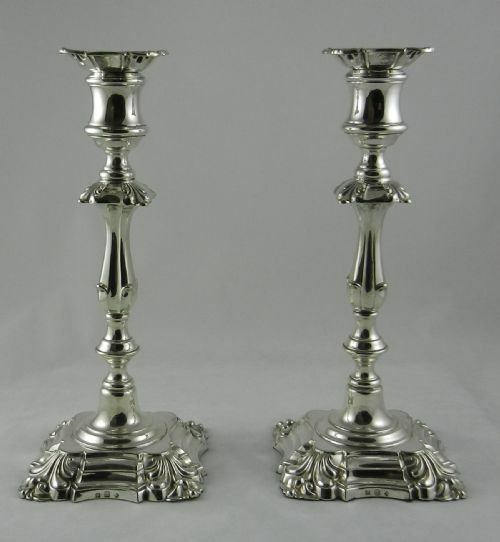 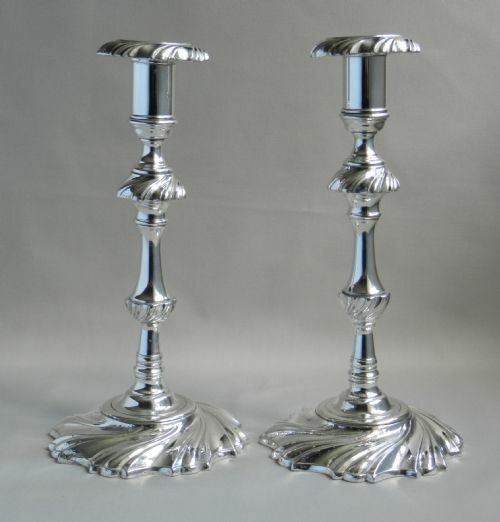 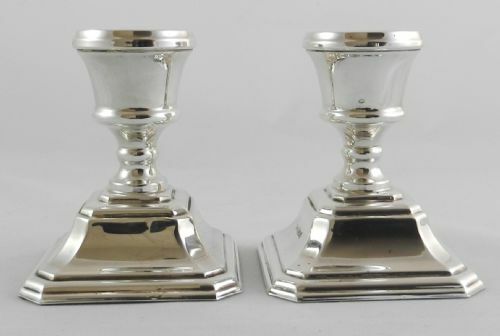 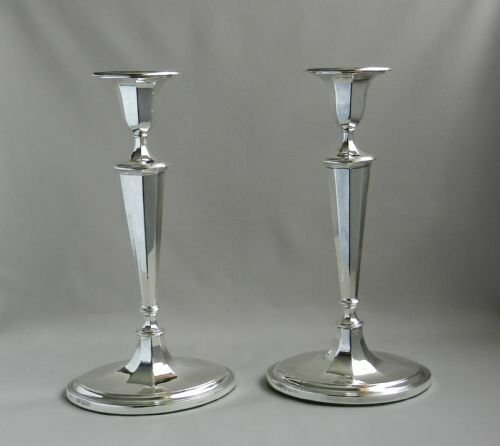 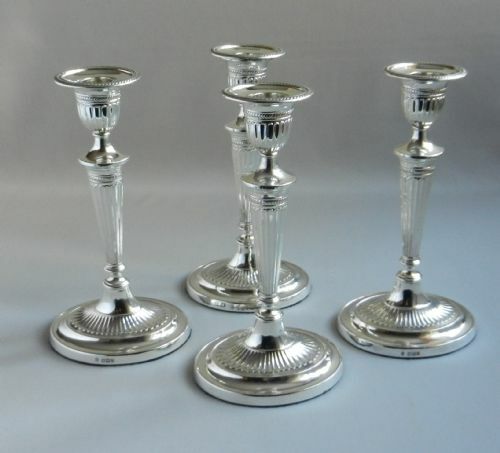 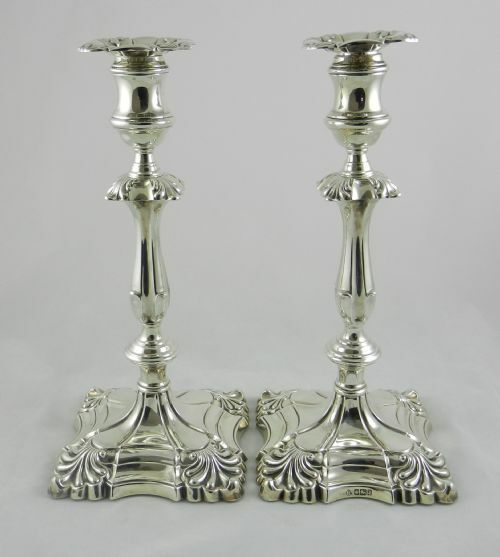 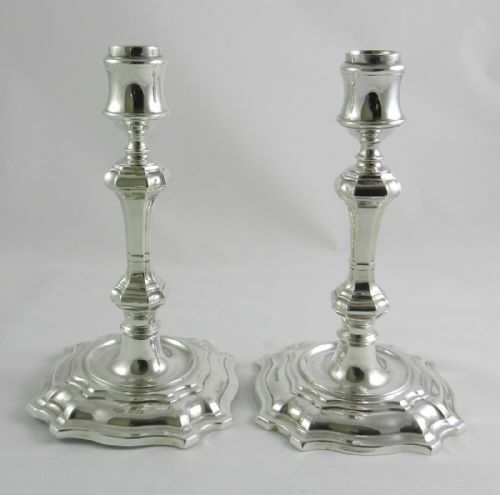 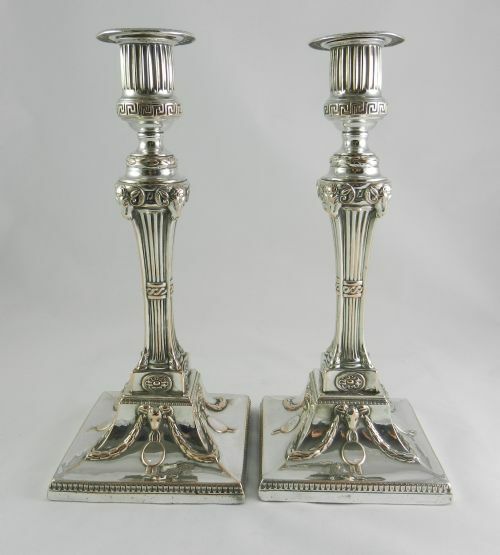 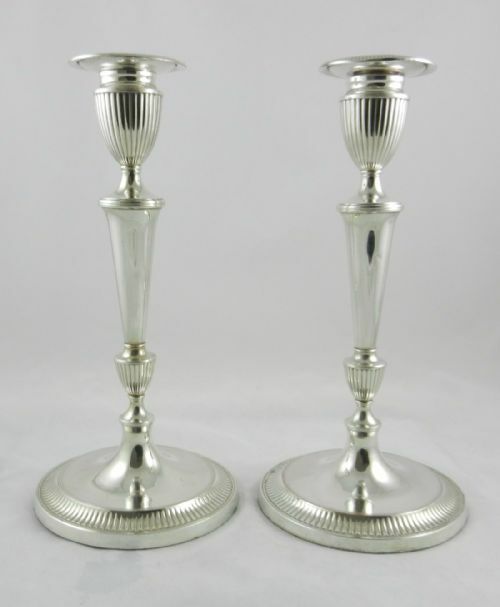 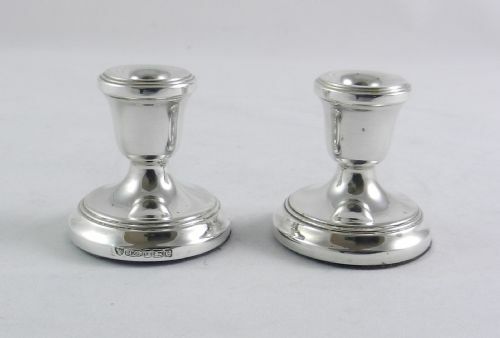 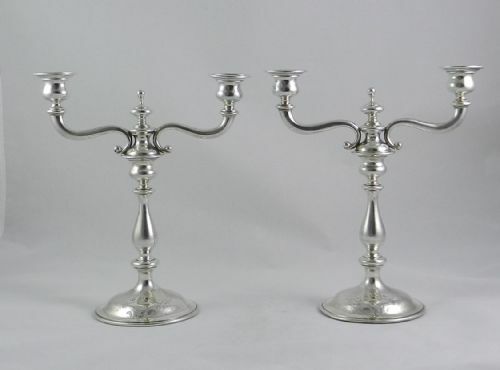 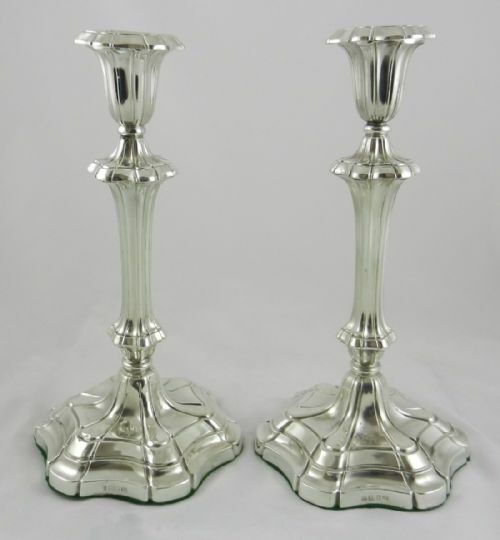 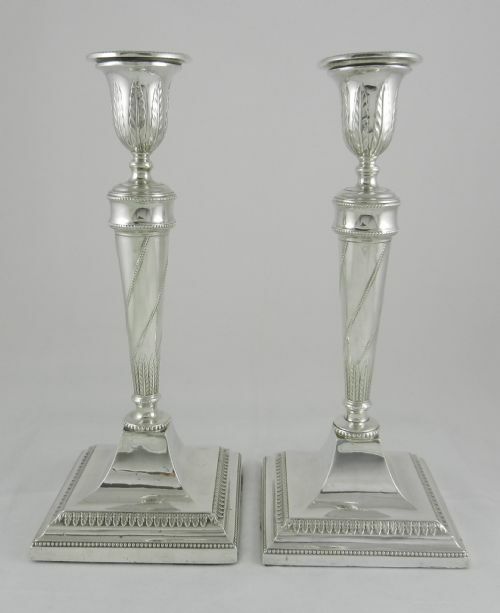 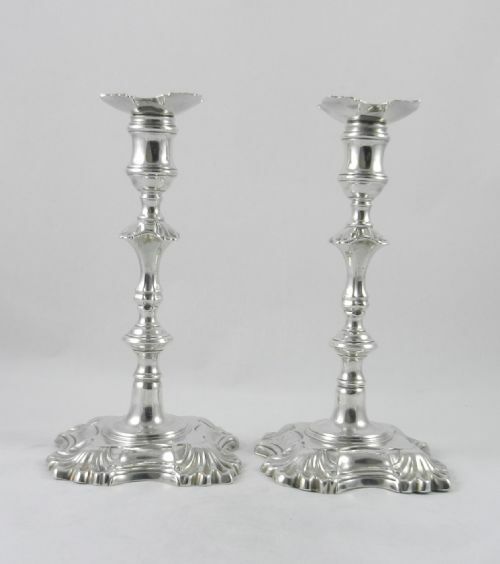 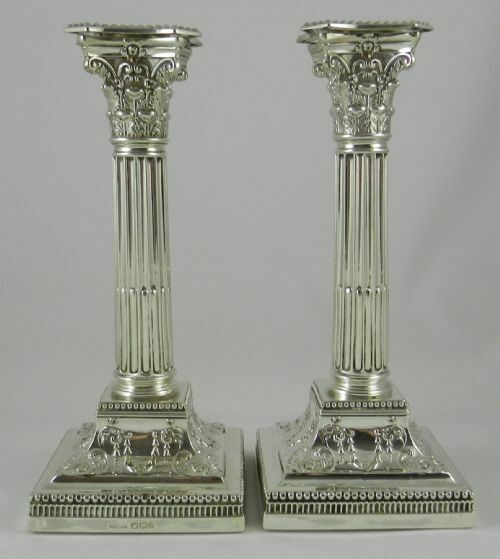 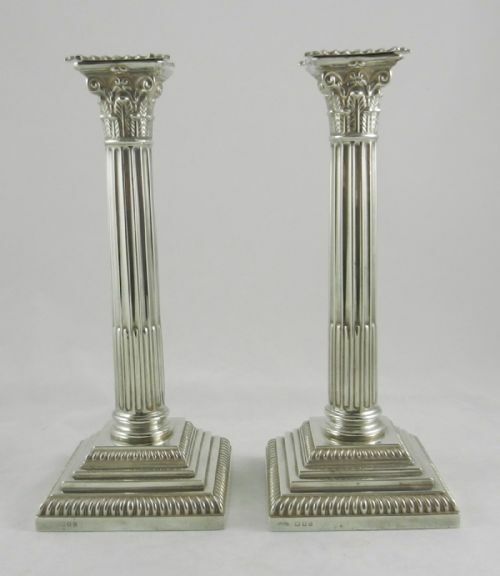 Pair Silver Dressing Table Candlesticks. 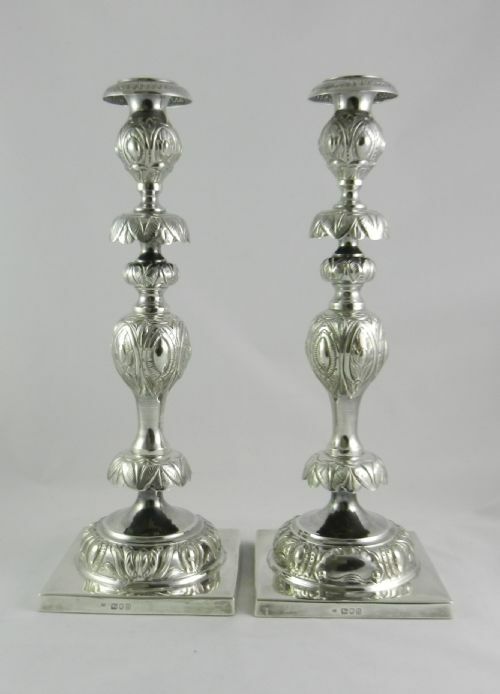 Antique Silver "Ram's Head" Candlesticks. 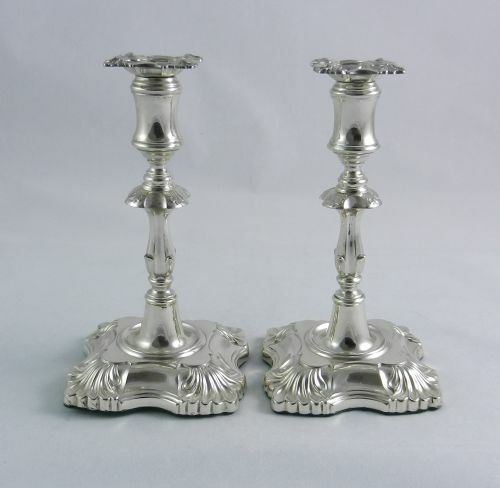 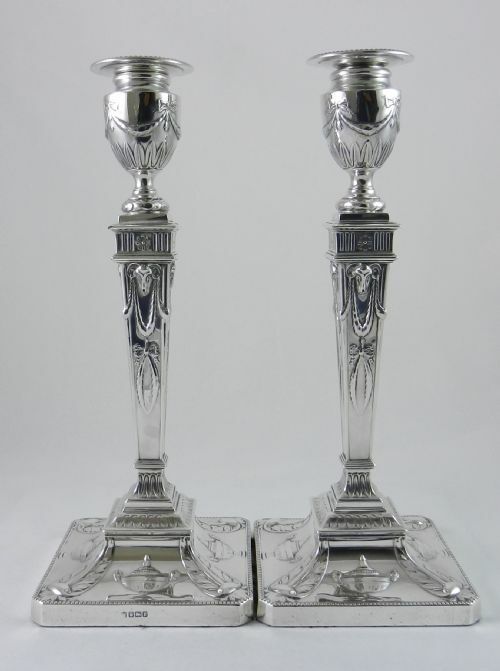 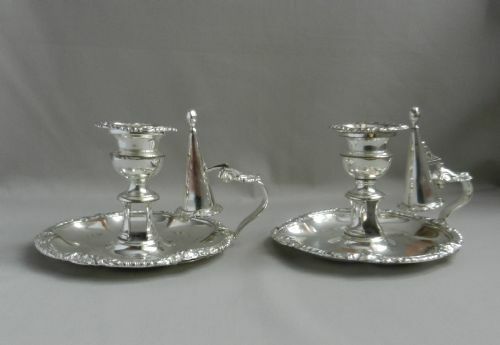 Pair William IV Silver Candlesticks. 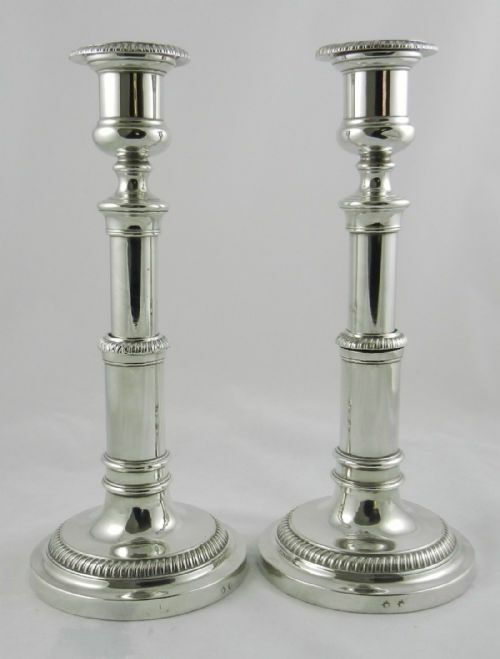 Old Sheffield Plate Telescopic Candlesticks.